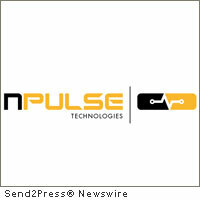 CHARLOTTESVILLE, Va., June 22, 2011 (SEND2PRESS NEWSWIRE) — nPulse Technologies has announced the next step in its aggressive 2011 growth plans by adding experienced industry executives Bill Cantrell and Rick Truitt to its senior leadership team. Cantrell will take charge of growing the company’s established business in the Federal Government sector, and also be responsible for key technology and channel alliances. Truitt will lead nPulse’s rapidly growing sales program in financial and commercial markets. Both of the new vice-presidents have deep industry experience at senior executive level, and extensive market connections across nPulse’s target sectors, most recently leading rapid U.S. sales growth at security solution vendor, Endace. “Bill and Rick are widely respected and uniquely experienced executives in the networking and security sectors, and we are delighted to have leaders of their caliber joining the nPulse team at this key stage in our company’s growth plans,” said Peter Shaw, Co-founder and VP at nPulse. Original Keywords: nPulse Technologies LLC, networking and security, high-speed packet capture and replay, network analysis and visibility capabilities, HammerHead Capture and Replay, Peter Shaw, Bill Cantrell, Rick Truitt, Virginia business news nPulse Technologies, LLC Charlottesville Virgina CHARLOTTESVILLE, Va.
REFERENCES: Business News, nPulse Technologies LLC, networking and security, high-speed packet capture and replay, network analysis and visibility capabilities, HammerHead Capture and Replay, Peter Shaw, Bill Cantrell, Rick Truitt, Virginia business news nPulse Technologies, LLC Charlottesville Virgina CHARLOTTESVILLE, Va.